Partnerships with educational institutes including Engineering and Management institutes and Colleges to provide entrepreneurship education as an integral part of the training, exposure and experience for the students, so that they are skilled entrepreneurially. Support Start-ups and Advantage through learning, connects and other resources for sustainability and growth. Develop city based entrepreneurship eco-systems with strong networks of mentors, investors, service providers and entrepreneur-peer groups that can support new start-ups and growing advantage in those cities. This exciting role is one of high importance and impact to launch and manage the Wadhwani Educate, FastTrack and Skills Platform initiatives and will involve interface with national APEX bodies in Industry, Education and Investors, as well as Educational Partners to deliver a new paradigm of industry driven mainstream education. We are looking for smart motivated self-starters who want to make a difference at a national level. The scope is large, but the individual tasks are byte sized and doable in a systematic and organized fashion. DN program in the region successful while working with the local partners and WF team members. This role is primarily that of a Program and Partner Manager. • Help identify the needs and define the goals and scope of the program with clear roles and deliverables of the entities involved. • Work with the manager to create a detailed project plan, monitor actions and ensure timely completion of deliverables to meet the needs. • Liaison with all parties involved, ensuring common understanding and that deliverables meet the requirements. • In general, ensure WF involvement is properly utilized and resulting in valuable deliverables that meet the objectives of the program and initiative. • Scope the opportunity stakeholders and framework in the country to develop a strong understanding of current status, challenges and opportunities. • Create a detailed project plan, monitor actions and ensure timely completion of deliverables to meet the needs. • In general, ensure WF involvement is properly utilized and resulting in valuable deliverables that meet the objectives of the program and WF Skill College’s initiative. 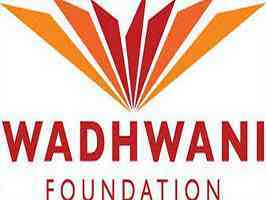 • Facilitate access to different resources from within and outside the Wadhwani Foundation. • Be connected with designated points of contact from the Industry – Companies and Associations – to facilitate an industry driven program. • Obtain the specific jobs and their corresponding duties->Tasks->Skills composition – from with the industry as defined by the government and or relevant industry sector councils (if any). • Get Specification of requirements (National Occupational Standards) and validation of curriculum/ coursework from Industry Sector Skill councils) /Company subject matter experts. • Ensure Curriculum covers all aspects of training – Classroom instruction material, Faculty Guide, Learners/Student guide. • In addition, help arrange Faculty Development training through Subject Matter Expert(s) from SSCs/Industry (with industry input/participation). This may involve identification, networking and development of Master Trainers who can deliver the Faculty Training courses. • Work with SSC/Industry to organize and deliver the training course logistics – schedules, venue, facilities, faculty registration and signup, etc. • Coordinate with all stakeholders including from industry, educational and training institutes and government as relevant to ensure success for the Program. • Experience with Entrepreneurial & Education ecosystem: Minimum 8 years with at least 1 years in roles leading projects and people. Experience should include interfacing with higher educational institutes, government departments and other entities. Strong analytical, conceptual and strategic planning skills. Excellent interpersonal and supervisory skills. • Experience with College Ecosystem and Skilling: Experience in education industry and driving entrepreneurship in colleges with proven success in program management & entrepreneurial experience, having consulted and supported launch and scale several programs. Knowledge of vocational training and skilling sector. • Strong Project Management: Strong program management skills. Ability to break up a complex deliverable into a project plan with realistic tasks. Ability to manage aggressive deadlines with ownership and required hard work to keep to deadlines. • Customer Centricity: Very strong customer-facing skills and holistic experience in business development and corporates in driving high impact projects. • Academic Pedigree and experience: Good academic pedigree with minimum of Bachelors from B schools and Strong executive presence with over 7 years of work experience with strong networking and business development skills .